To individual people, lives are not equal. Some are much more important to us than others. The lives of those closest to us are the most important. Then perhaps the lives of those less close to us. Then public figures. Of the people we don’t know, we tend to worry more about those who have some connection to us. When some major disaster happens in the world, my local news tells me how many Israelis were involved. If I turn on BBC news, I hear the number of British people involved. Does each country value the lives of all its citizens equally? Israel does. Britain does. India, as I discovered recently, doesn’t. I’m going to describe the incident that brought this home to me. 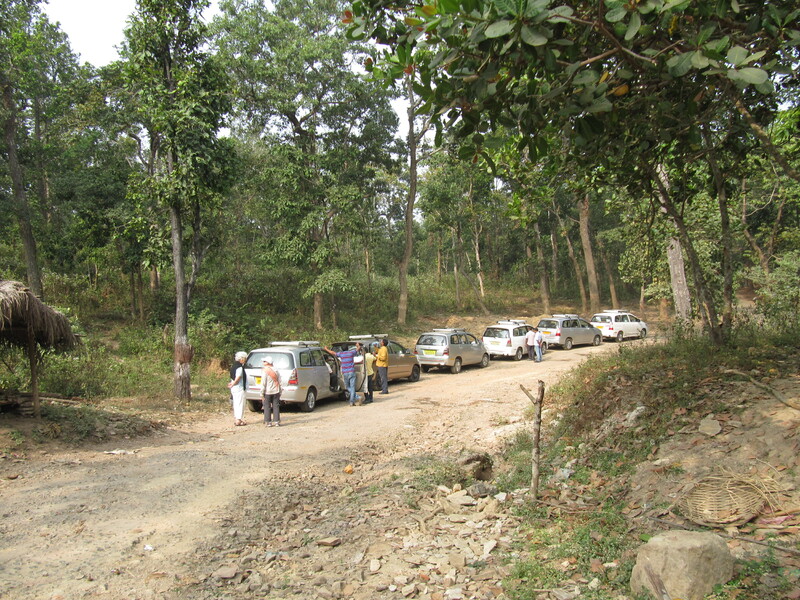 During our recent tour of the states of Odisha and Chhattisgarh, our group was driven in six cars. All six drivers were excellent at their job, but that didn’t stop us being scared. The drivers drove fast on bad roads full of obstacles. We passed buses, tuk-tuks and motorbikes carrying a lot more people than they should have done. We skirted round cows wandering around freely. In fact one time, our driver hooted at a cow in the road. (They all hooted a lot.) The cow appeared to be moving to the side but then changed its mind and the driver, still going quite fast, had to swerve to avoid it. We thought we were going to turn over but somehow the car remained upright. Driving at night was particularly scary. They overtook on bends where they couldn’t have seen what was coming, especially as not all motorbikes there have lights, and bicycles, pedestrians and cows certainly don’t. Another time, I was sitting in the back with one other, while a third member of our group sat at the front beside the driver. For a change, we were on a dual carriageway with two lanes on each side. Our driver was just overtaking a bus when a motorbike shot out from behind the bus, crossing our path. The driver braked sharply, but couldn’t avoid hitting the motorbike, on which were four people. A crowd gathered and we saw one of the motorbike passengers, who looked to be a teenager, being carried to the side of the road. If he was alive, he was certainly unconscious. What happened next shocked us. We knew what would happen in our country and in other western countries. At the very least, we would have to wait for the police to come to take statements and note down particulars. In our naiveté, we imagined the same would happen here. As soon as all the passengers and the motorbike had been moved to the side of the road, the people waved us on and the driver moved off, driving even faster than usual. He said something to us about the car being from a different state and he spoke in Hindi on the phone. There had been contact between the drivers throughout the trip. Afterwards, our guide, who had been in a car in front of us, tried to hush everything up. He sounded surprised to hear that anything had happened, although I’m sure he must have been told by phone. Then, after supposedly finding out, he told us that the injured boy was drunk and not hurt at all. No one asked if we were all right. As it happened, two of us hit our heads on the seats in front, but we were OK. The way the accident was handled shocked us. It is known that the accident rate in India is bad, but this was an accident that probably didn’t enter into the statistics. Probably someone died in it. But what’s one life amongst so many? Do you think the caste system still plays a large part in such discrimination, despite being officially illegal? I don’t know enough to answer that, Gill. But I wouldn’t rule it out. Things are so different in different countries. Our expectations vary and I suppose I would be rather shocked for the most part while visiting a country far different from my own. There are so many things we take for granted, rights that residents of other countries don’t have. My best friend was involved in a car accident in Saudi Arabia. He was just 7 years old and (obviously) a passenger. The procedure there is to fling everyone in jail when there’s a car accident, and not release them until it’s sorted out. That gave me the same sort of shock that you had, I think. Was the seven-year-old boy also put in jail? Yes. They gave him a colouring book and a red crayon. “All I had was pain, fear and a colouring book,” he says now. That’s truly shocking. We’ve become so used to our system in the UK of reporting everything and that’s the way it should be. It sounds as if it was a pretty hairy experience for you all round! Unfortunately, the way it should be isn’t the way it is, probably in most of the world. We tend to forget that until forced to remember. Scary to think people turn a blind eye to regulations (that I’m sure exist). And I suspect it is far from unique. What a terrible experience for all involved! India is a fascinating place to visit, It’s fascinating because it’s so different from what we know, but some of those differences are not at all fascinating.